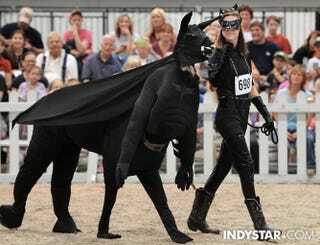 This Is A Llama Dressed Up As Batman. Your Move, Affleck. Over at the Indiana State Fair there is a Bat-Llama. Which is already better than any future Batman movie, now and forever. That'll do, Llama. That'll do.